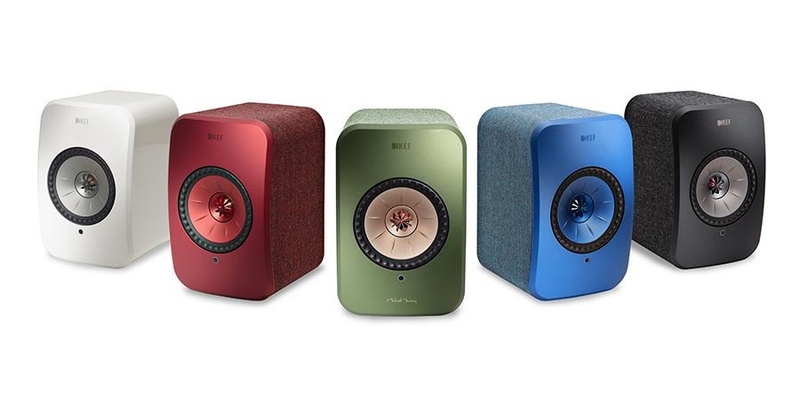 Product information "KEF LSX Wireless Speakers in Blue"
Uni-Q. 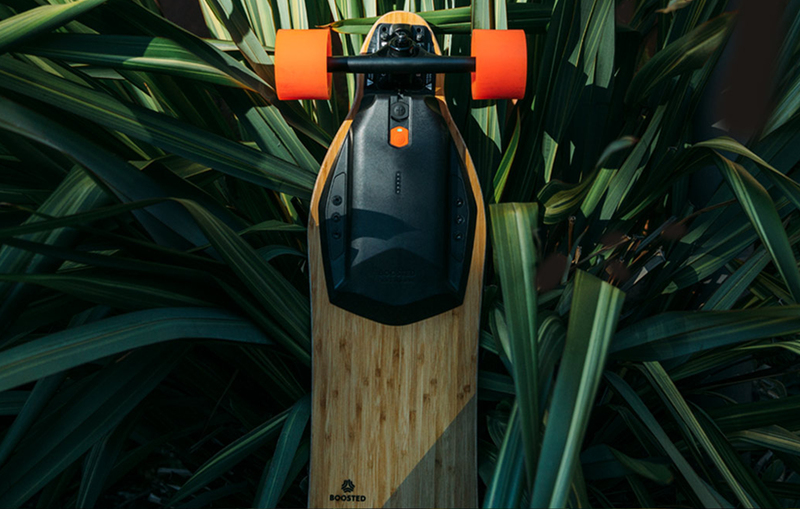 The sweet spot just got a lot wider. LSX comes with KEF’s breakthrough Uni-Q driver array. By placing the tweeter at the centre of the midrange and bass cone, it radically improves stereo imaging. This not only makes music sound clear, detailed and lifelike, it does so across a wider listening area. Contoured baffle. Hear the music, not the speaker. Optimised using Finite Element Analysis, LSX’s contoured baffle improves sound dispersion, ensuring that sound waves travel outwards and are not reflected around the cabinet surface. The result? A purer sound, with less cabinet colouration. DSP. Small speakers, big sound. LSX uses KEF’s Music Integrity Engine™ – bespoke Digital Signal Processing that helps the speakers deliver transparent bass with great extension, while reducing distortion. So, you can fill your room with rich, full-bodied sound. No cables. No compromise. With no need for a cable to connect the two speakers, and no separate amps or other equipment to worry about, you can position them wherever you like. Wave goodbye to visual clutter, without sacrificing sound quality. Design by Michael Young. Overseen by renowned product designer Michael Young, LSX’s design achieves a fine balance of form and function. Carefully considered details include port accent colours and a colour changing LED to subtly indicate which source is selected. Colours and fabrics. Whatever your style, there’s an LSX to match. The system comes with a choice of five colours, and is clad in an industrial fabric by Danish contemporary textile designer, Kvadrat. These fine details make the LSX pleasing to the touch, as well as appealing to the eye. 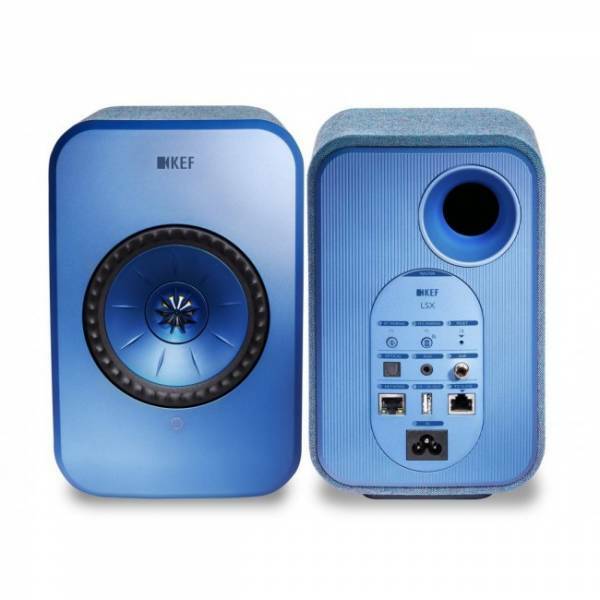 Related links to "KEF LSX Wireless Speakers in Blue"